Ablutophobia, or fear of bathing, is a relatively uncommon but serious phobia that appears to be more prevalent in women and children. 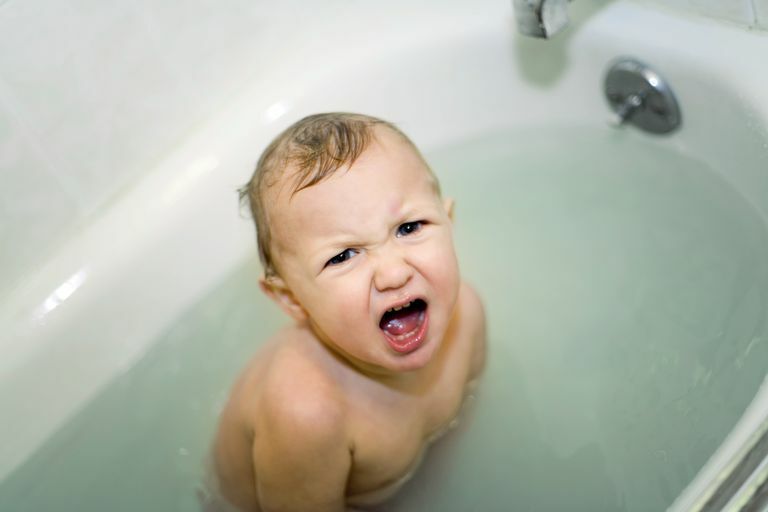 Yes, many children demonstratively dislike baths, but a phobia is different. If your healthcare provider is following the new American Psychiatric Association guidelines, she is unlikely to give an ablutophobia diagnosis unless the extreme overestimation of danger persists for more than six months. Ablutophobia, like all phobias, is an anxiety disorder. It's clinically known as a specific phobia, which is an excessive or unreasonable fear of an object or situation. It can manifest in many ways, from a fear of showering to a complete phobia of all washing. Like all specific phobias, a traumatic past event is the commonly the trigger for ablutophobia, although you may or may not consciously remember it. How did you get ablutophobia? A traumatic past event may have happened to you, a relative or even someone in a movie or television show. For example, some horror film fans claim to develop a fear of showering after seeing Alfred Hitchcock’s "Psycho." This anxiety disorder can also develop from other people’s fears. If a parent or close relative had the same fear, you might have internalized that person’s reactions in childhood. Many kids try to avoid bath time, whether due to fear or simple preference. It is possible that your childhood aversion may have carried over into your adult life. In addition, personal hygiene is a first step toward avoiding illness. Allowing dirt and bacteria to remain on your skin and hair for long periods could elevate your risk of both common and rare diseases. This is particularly true if your phobia causes you to avoid hand washing after using the restroom or when preparing food. Like most specific phobias, cognitive-behavioral therapy techniques are frequently part of a treatment plan for ablutophobia. Your therapist will probably encourage you to examine your fear and replace your negative self-talk with more appropriate messages. She might give you homework assignments that involve taking baby steps such as turning on the shower and sitting in the bathroom with it running. The goal of therapy is for you to practice relaxing and using your newly learned self-talk to soothe your fears while slowly confronting the object of your phobia. If you are extremely anxious, your physician may prescribe medications or suggest hypnosis to help you get the fear under control. Ablutophobia is highly treatable by trained professionals but nearly impossible to overcome on your own.